Come to the award-winning spring continental market! With traders from 26 countries as far afield as Morocco, India, Belgium, France, Russia, Tanzania, Spain and China, the market is a source of outstanding local and international produce, gifts and crafts. A great selection of mouth-watering favourites will be available including freshly made Spanish paella, delicious bratwurst sausages from a traditional German schwenkgrill alongside a tasty selection of cheeses, jams, chutneys and crackers. 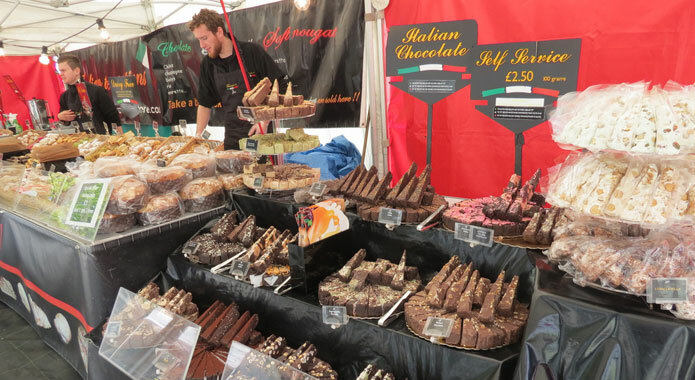 Our local traders will be offering the finest local produce alongside the mix of international stalls. If you're on the lookout for unique products and beautifully-made clothing there will be plenty to excite you.